The ‘Char Siu Chinese BBQ’ pork jerky is produced by Local Legends which is already known for its traditional beef jerky. The new pork option is 35 per cent protein and contains less than 4 per cent fat. 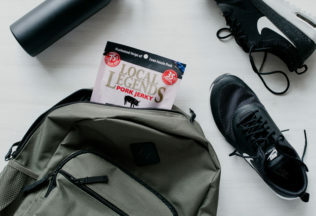 Local Legends Chief Executive Officer, Don Nisbet, said pork jerky is a suitable snack for any Australian. “The meaty morsel is no longer a snack exclusively for truckers and tradies,” he said. Char Siu Chinese BBQ pork jerky is compactly packaged so that it can easily be taken outside of the home as a snack. Local Legends Marketing Manager, Michael Langtry, said it can also be used for cooking. “We were inspired to create this product as an Asian-style protein hit that can be incorporated into home cooking and we can’t wait to see it take off in the consumer market,” he said. Local Legends Char Siu Chinese BBQ pork jerky is available now from Woolworths and IGA supermarkets. The recommended retail price is AUD $4.95.